One of the central activities of the 2017 centenary year is our Anthony Burgess Memories Project which brings together reminiscences of Burgess by people who encountered him in one context or another, and assessments of his work from notable writers, artists, musicians and academics. This is the first time that Burgess’s legacy has been considered from multiple points of view and reveals his importance to both the social and cultural fabric of Britain and beyond. These pieces are available to the public through our dedicated Burgess Centenary website, and have been added to the Foundation’s archive for the benefit of future scholars and other interested parties. We will be adding to the Memories Project throughout 2017. 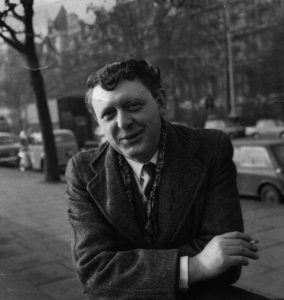 The archive of Anthony Burgess Memories can be found here.